Happy Friday! 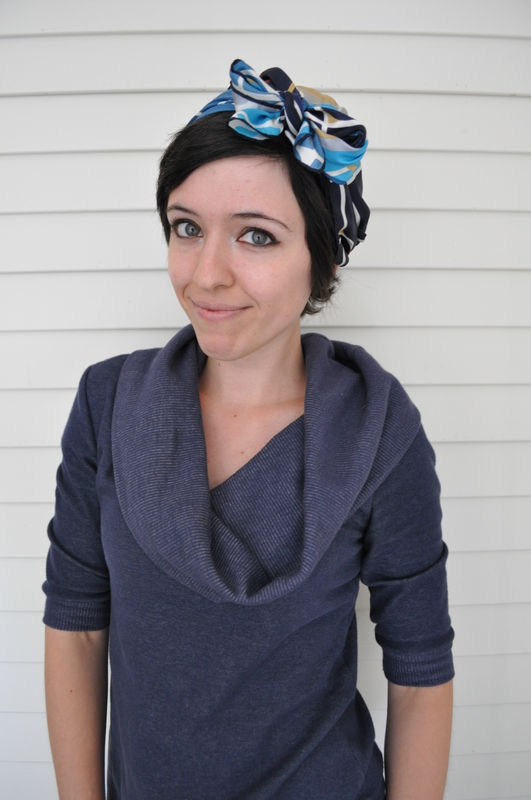 We have a cute scarf style to show you today, but I’m afraid our images for our tutorial just didn’t turn out how we wanted them to, (we swear we’re not just slacking off because it’s Friday!) so you’re going to have to settle for our explanation instead. Good thing it’s a simple one! It really is quite an effortless look to achieve. 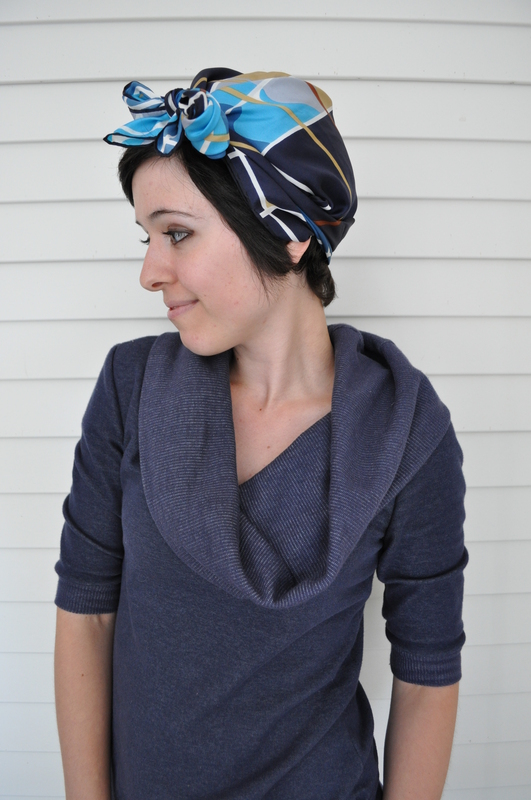 Simply fold a large square scarf into a triangle, and, placing the middle of the folded edge against your neck, wrap around your head, tying at your forehead. Tuck in the edges so it looks nice, then tie the ends into a bow, and position it at your forehead, or by your ear. Waa laa! Easy and adorable! We are absolutely in love with the scarf we used for this style – we encourage you to hop on over to Etsy so you can see the whole thing laid out flat. It’s amazing. That concludes our scarf week! We hoped you enjoyed the pieces we chose, and the tutorials we gave you! We’ll have some more scarves for you next week, so keep an eye on our shop, or like us on Facebook to get the first word when we put up something new.